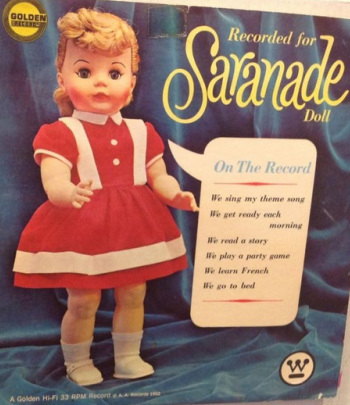 My sister acquired a Saranade doll, record player, and record from eBay. We have not had a chance to clean and test the sound system. 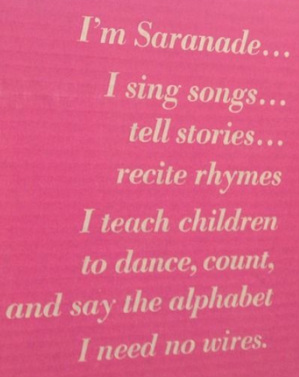 Something to look forward to reporting on. 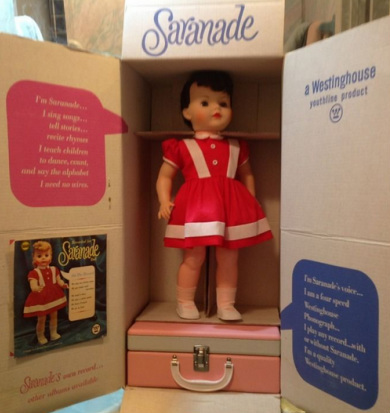 Since the doll did not come with an original box, I've added some images of what the complete system would have looked like.